Deck the halls with hops and barley: Oktoberfest is here, a 16-day celebration of sausage, schnitzel, lederhosen, folk dancing and beer (of course). Most places will offer the typical German high and low bräu entertainment, so we've put together a list of places that offer unique experiences in honor of this Bavarian bash. 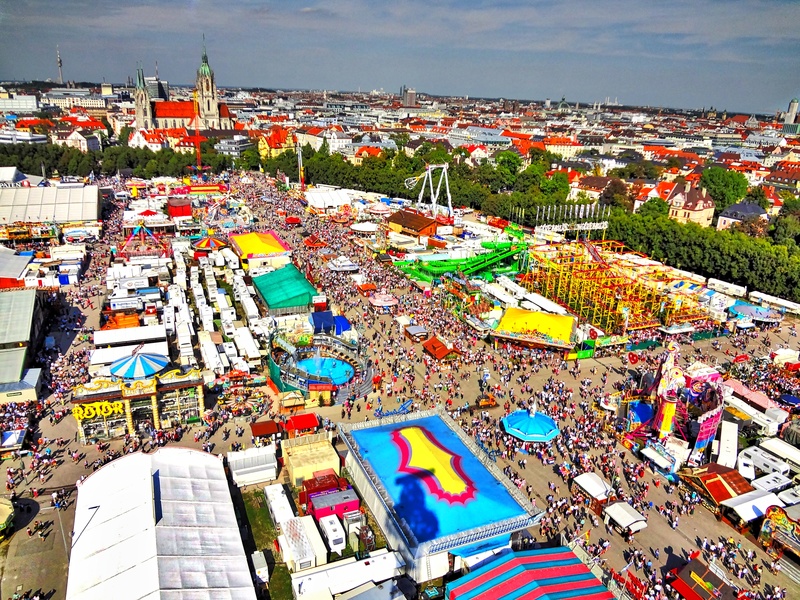 If you have the means, consider taking the ultimate Oktoberfest experience by checking out Munich, Germany, where Oktoberfest began in 1810, when Bavarian Crown Prince Ludwig invited the citizens of the city to attend his wedding festivities. The locals enjoyed the celebration so much, they made it an annual tradition. For a unique cultural experience, head to Fredericksburg, Texas, where you can hear Texasdeutsch, a unique and endangered dialect spoken by the state's German settlers. You can also treat your ears to a musical festival headlined by The TubaMeisters, who specialize in traditional folk music as well as country, classic rock, and pop tunes including "You Were Always on My Mind," "In-a-Gadda-da-Vida," "Bohemian Rhapsody" and "All About That Bass." Alyeska Resort in Ayeska, Alaska offers one of the northernmost Oktoberfests you can celebrate in America. Along with the typical Bavarian entertainment, ticket packages include a tram ride that takes visitors breathtaking views of the Chugach Mountain Range and the famous "hanging" glacier. Feeling Sporty? Check out Kitchener ( formerly Berlin), Ontario, where locals revel in the city's teutonic heritage by throwing one of Canada's best Oktoberfest bashes. Visitors can work up an appetite for the best of the city's wursts by participating in sporting activities that include cycling, a 5-K run, axe-throwing, German dancing, archery, barrel racing and more.